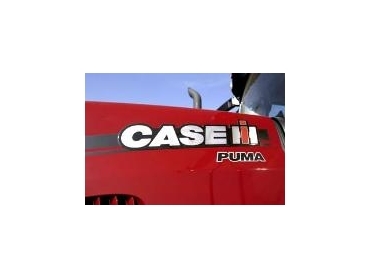 Case IH has announced the availability of new model Puma and Maxxum tractor lines in the Australian market. Both lines feature various cab, transmission, three-point hitch, axle and wheel configurations suited to the needs of farmers across a range of sectors. They also feature new biofuel compatible engines delivering power on demand, while remaining efficient and friendly to the environment. The Puma, ranging from 165 to 210 Hp, is already proving to be well-known in the United States since it was launched there in late 2006. The new Maxxum range will consist of eight models, with engines ranging from 100 to 155Hp. Both new lines have a long history of innovation and quality in agricultural technology. The original Puma 1000 was innovatory when it was launched to the world in January 1986. As the first Steiger built with a steerable front axle and articulated steering, it made manoeuvring in row crop applications possible. The Maxxum is also rich in history, dating back to the early 1980s when a team of engineers worked on a replacement for the transmission used in the David Brown and Case 580 model tractors. The initial design allowed customers to customise their tractor before it was built. Both the Puma and Maxxum will be sourced from Case IH’s St Valentin plant in Austria, which is renowned for its commitment to high quality production. Case IH Tractor Brand Manager, Kevin Pritchard, says the St Valentin Engineering Centre continues to develop the technical features modern farmers require. These include fuel-efficient common rail diesel engines, headland management control and multi-controllers. “As the Case IH range of products and services continues to grow, the brand’s core beliefs remain in place. Our aim is to build powerful, reliable, and productive equipment and provide superior support,” Kevin Pritchard says. Selected customers from around Australia will be specially invited to put the new tractors through their paces at Case IH’s national roadshow demonstration days.